By virtue of its ingredients a cheesecake is sticky. Slicing it will tear the filling unless you take precautions. 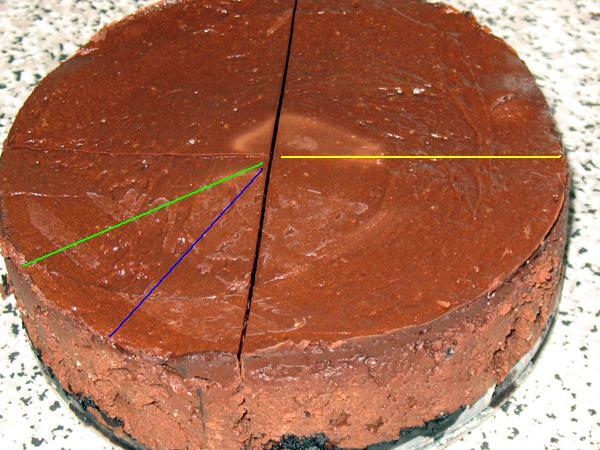 There are two easy ways to slice a cheesecake properly; the hot knife method, and the wire method. I’ve added lines to this picture to demonstrate how it was cut. The next time I bake a rectangular cake I’ll photograph the slicing process.